The Cadre Noir pipe is crafted with a unique "ring grain" rustication and dark brown stain. They are accented with acrylic stems. Style choices listed from top to bottom in picture. Click on picture to enlarge. 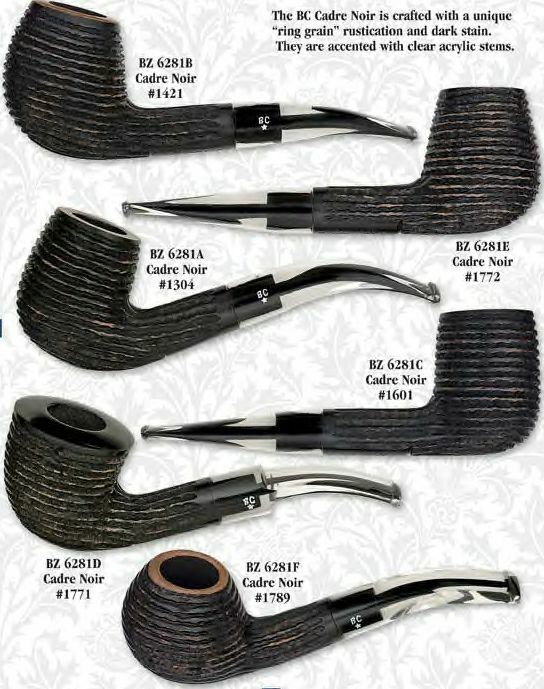 Inset photos shows example of 6281E and the coloration of this series of pipes.